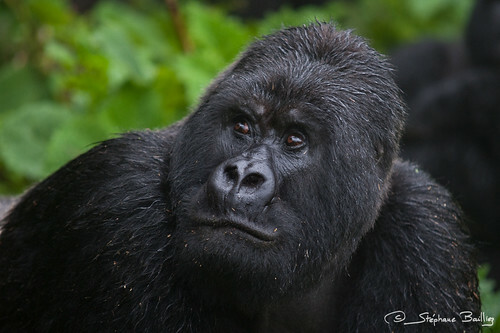 Guhonda, meaning 'to beat' in Kinyarwanda is over 30 year old and the largest known silverback weighting over 200kg and 2m tall. He is the undisputed leader of the Sabyinyo group, a small group of gorillas nearby the Sabyinyo volcano. Some selected pictures can be ordered as high-quality print at www.stephanebailliez.com.